Christmas Day is all about togetherness and Xmas tree is the symbol of happiness. Decorated with beautiful and attractive decoration items to give it a dynamic look. 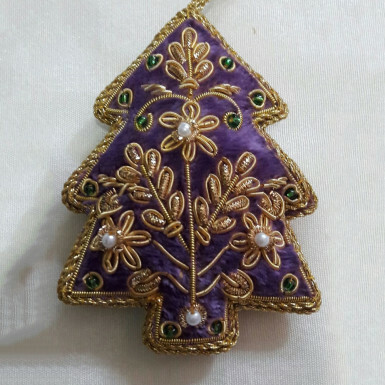 Here is the beautiful Christmas Decor in Christmas tree shape with a beautiful print of golden color, giving a shining appeal to the tree. Hang this lovely piece of decor on it and make the tree bright enough to appreciate from across the room. So, place your order right now at Winni and get this amazing product for decorating your Xmas tree.